A screenshot from Garfield County Sheriff Lou Vallario's Just the Facts Facebook video on Monday. 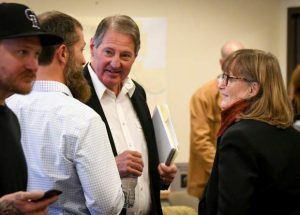 The ballot question seeks to push the minimum setback requirements for new oil and gas developments to at least 2,500 feet from occupied buildings and other vulnerable areas. 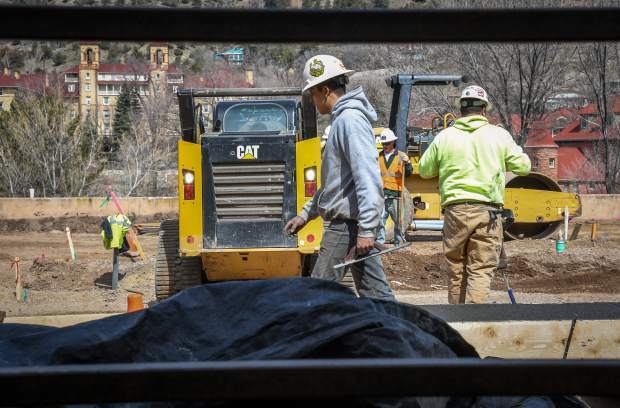 The current setback rules, established by the Colorado Oil and Gas Conservation Commission in 2013, set a 500-foot statewide setback from residences, as well as a 1,000-foot setback from high occupancy buildings such as schools, nursing homes and hospitals. 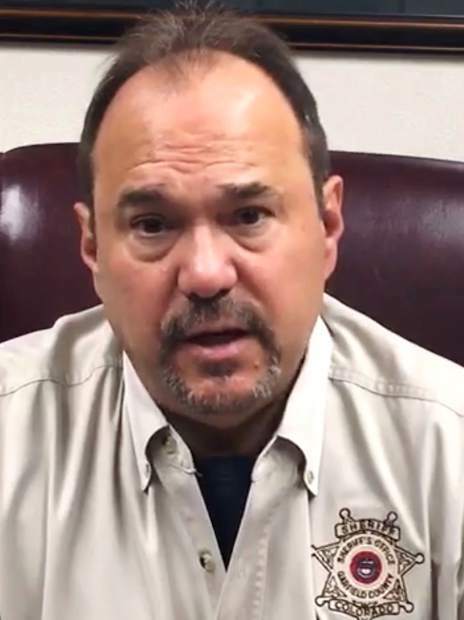 With ballots going out to voters this week, Garfield County Sheriff Lou Vallario took the opportunity to focus his bimonthly Facebook forum, Just the Facts, on Proposition 112 and the potential impacts it could have on area law enforcement agencies. Meanwhile, supporters of the measure say the sheriff and other nay-sayers are being overly dramatic with their dire economic predictions. In the past, Just the Facts has focused on everything from controversial issues such as school shootings and gun control to just basic information about the Garfield County Fair. Vallario takes a few minutes every other Monday to share his thoughts via Facebook Live about what’s going on. 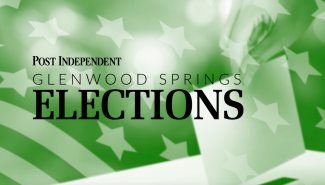 In the latest installment, Vallario said he believes Prop 112, the statewide initiative to increase the setback for oil and gas facilities from homes and other buildings to 2,500 feet, could have a dramatic impact on his department. 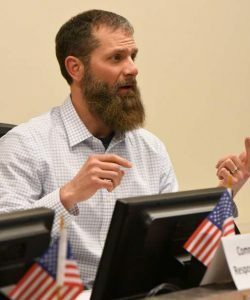 For starters, if Proposition 112 were to pass, Vallario said he could see as much as a 60 percent reduction in his budget, according to information he’s received from the county’s finance department. That reduction would result in reduced jail operations, where he said only felony arrests would be housed in the jail. “Right now, we allow municipal violators, people on misdemeanors … We would cut that back to only felonies,” he said. He added that there may be potential exceptions, such as DUIs. “If you live in a city or town in Garfield County, your police force would no longer be able to utilize the jail for violations,” he added. He said the Sheriff’s Office would also reduce inmate programs, and patrol services would be severely restricted. 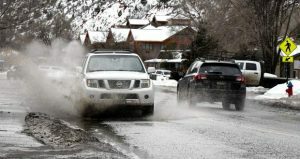 The county could lose 24/7 patrols, Vallario said. “We would probably only be able to respond to major crimes,” he added. Animal control and police communications would also be gone, according to Vallario. “I’m not offering my personal opinion, but I’m letting you know, if it passes, this is what could happen to the Garfield County Sheriff’s Office,” he concluded. Supporters of Prop 112, however, came to its defense as many claim the rhetoric about economic impacts of the initiative are overblown. “To the best of our knowledge, the county budget, including the Sheriff’s Office, will not be affected because those wells are already in production,” she told the Post Independent. While Proposition 112 would increase the setback on new wells and other oil and gas production facilities, it will not be retroactive on existing active wells that are already situated closer than 2,500 feet. The rule would apply, however, to any wells that are reinstated after having been previously “plugged or abandoned,” according to the ballot language.